The iPad is a great learning tool for kids as young as 18 months (with supervision, of course), but even digital kids need tactile stimulation for proper development. 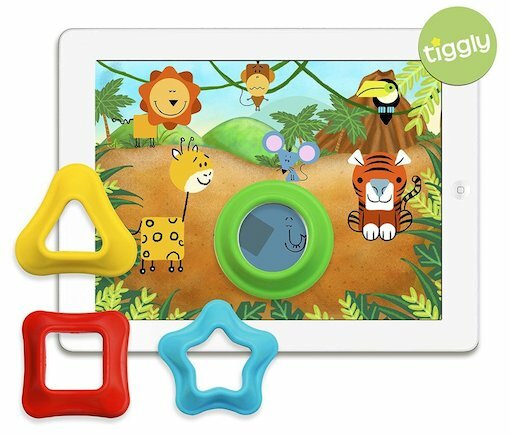 Tiggly Shapes toys are physical objects that interact with companion iPad learning apps that teach all about different shapes, colors and animals and make drawing and creating art a lot of fun. While playing, toddlers develop motor skills and spatial reasoning. Once kids get a bit older, they can start learning numbers with Tiggly Counts and even more fun game apps. The Tiggly toys are designed not to scratch the tablet's screen, but we suggest getting a kid-friendly iPad case to protect it. Many toys claim that they can keep up with babies and toddlers as they grow, but how many do that automatically? Once you enter your child's age, the Smart Stages Chair senses their growth and automatically adjusts games and activities to match their natural growth and learning. Babies learn shapes, numbers, words and more. 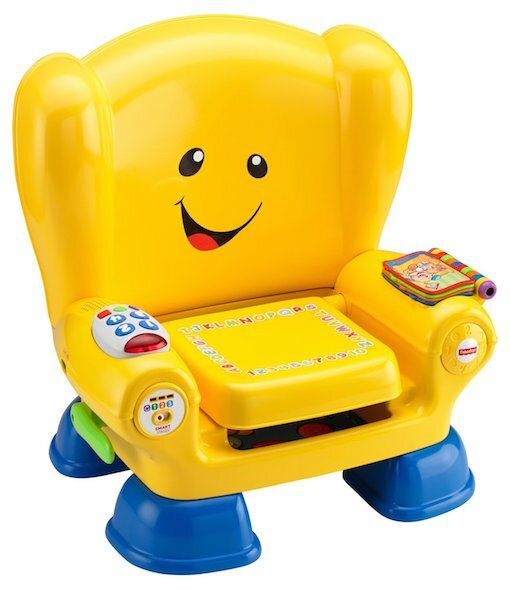 The chair even takes advantage of developing motor skills with games that get kids moving, touching and exploring. Think your little genius is ahead of the learning curve? Just adjust the level manually to get to the more advanced games. 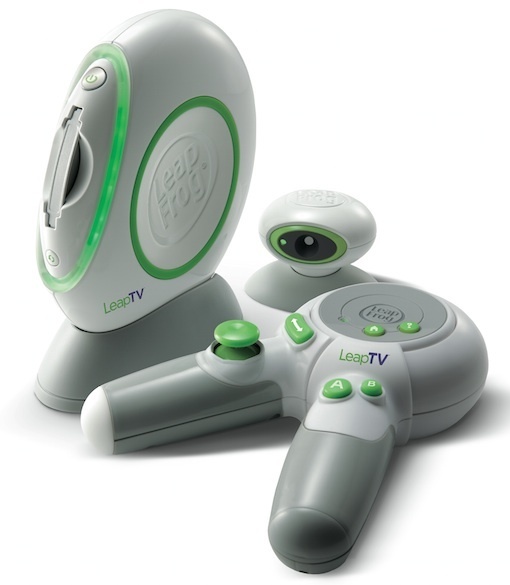 If it’s difficult to get your kids moving during the colder winter months, motivate them with the Leap TV. The made-for-kids video gaming system provides hours of fun while ensuring your kids get up and off the couch to play. The Leap TV uses a Kinect-like camera and motion sense technology to put the kids in the game so they’ll be jumping, hopping and laughing their way through the levels. We especially like that the controllers are made for tiny hands. Leap TV, which is made by the same company that makes LeapPad tablets, offers a library of over 100 education games that automatically adjust to your child’s age and ability. Kids love having a tablet all their own, and the Fire HD Kids Edition satisfies at all ages. It’s a real tablet with a quad core processor, front and rear cameras and an HD display. 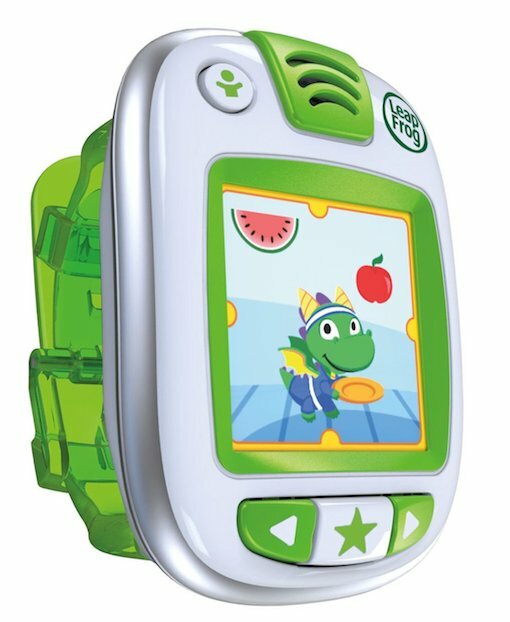 It comes in 6-inch and 7-inch sizes and includes a colorful, kid-proof case to protect against accidental drops. Parents will love that the Kids Edition Fire comes with a one-year subscription to Amazon FreeTime Unlimited, a library of age-related content and parental controls that let you set limits on content and screen time for each child. 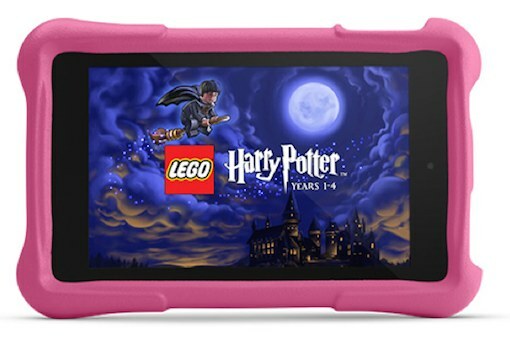 The tablet can be taken out of kids’ mode with a password to use as a regular tablet. And because we all know accidents happen, Amazon offers a two-year warranty: “If they break it, we’ll replace it. No questions asked.” Who can ask for more than that? Fitness trackers get adults moving and more active, so why not get your kid in on the action? The LeapBand is a cross between a FitBit and a Tamagotchi. A cute virtual pet encourages them to be active with fun challenges and teaches about nutrition and other healthy habits, all controlled by the parent. Parents can also set school and quiet times when interaction with the pet isn't possible, but the LeapBand still keeps track of activity in the background. Through activity on the LeapBand and in apps for phones and tablets, kids can earn in-game rewards that sync to the tracker. The device itself is water resistant and won't fall apart during rough play. Globes are a staple of every classroom, and many of us grew up with one in the house. But the world isn't static — leaders, population numbers, borders and even country names change. This SmartGlobe lives up to its name by making it easy to update available information via Bluetooth. The Smart Pen included houses the brains of the operation. Kids can tap anywhere on the map or the control panel to hear facts about countries and geography-based learning games. Connect it to a tablet and you can download new games and up-to-date information in minutes. 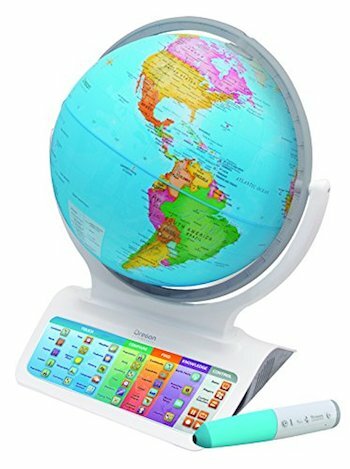 This version of the SmartGlobe also works with accessory globes (sold separately for about $40) that focus on culture and social studies or learning about the stars. 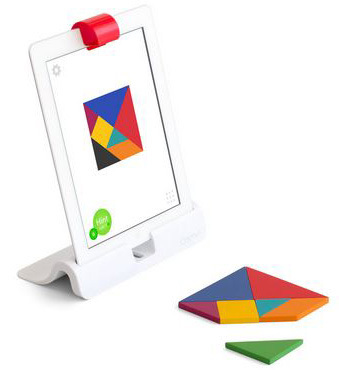 Osmo makes playing games with an iPad a less solitary experience and a more tactile one. The accessory itself is pretty simple. A small hood goes over the iPad's camera that aims the view down at the flat surface in front. Then kids can play games using the included shapes or word tiles or even a plain piece of paper and pencil. Osmo makes play collaborative and fun while kids and adults learn new stuff together. 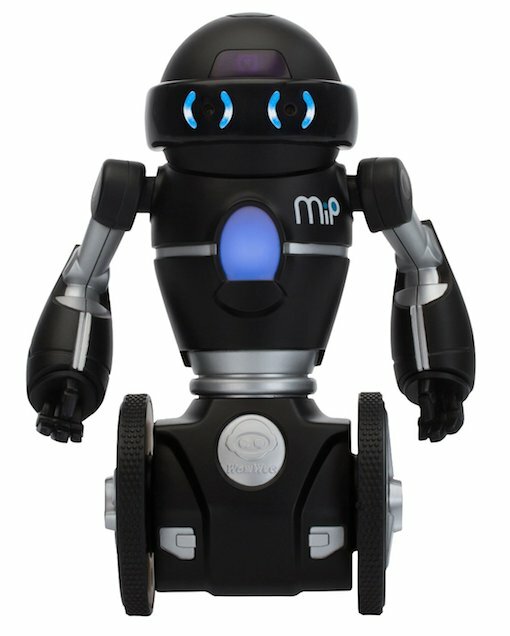 The MIP is a cute little robot that kids can control from a phone, tablet or gestures or simply let roam free. It develops a personality over time, learns tricks kids teach it and knows a few games right off the bat (such as Escape The Cage!). The best game involves stacking objects as high as you can on the MIP's tray and watching it try to balance everything using the Segway-like wheels. It’s a great toy for kids interested in robots but not quite ready for something more complex or a Build Your Own kit. 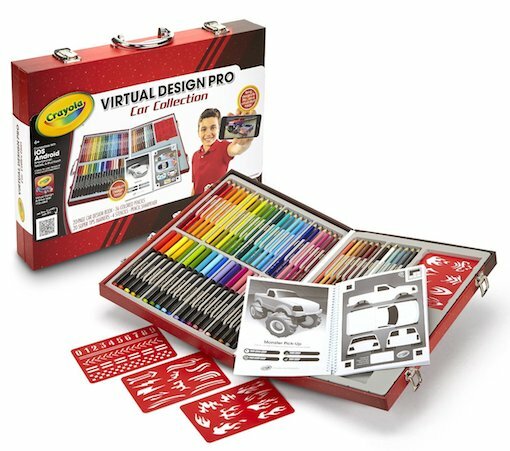 With these coloring sets, budding artists can bring their drawings to life in a virtual world. Kids use augmented reality to design fashionable clothing and hot rod cars, beam their designs into a tablet app and then interact with 3D augmented-reality models. With the fashion set, kids create a whole fashion show set in New York, Paris or other chic locations. After beaming the car designs into the tablet app, kids can drive the vehicles on a virtual track, do stunts and complete challenges. All the digital versions can be shared online with friends. Got any budding fashion designers who want to make real clothes? Barbie has them covered. Using a special app, kids can design outfits, then print them out on special paper (included with the doll and available as a refit) using an ink-jet printer. The clothes adhere like stickers but can be removed and reused multiple times as Barbie's wardrobe grows. The best part is that all the designs are stored in the app for sharing or to build on and tweak. For the young creative on your list, Mattel’s Monster High Monster Maker takes the traditional play pattern of dress-up and hair design to a whole new interactive level. Using an iOS or Android app on a tablet and a specialized (included) printer, budding fashion designers can create customized ghoulish designs on the doll’s various body parts. The Monster Maker also comes with accessories such as shoes, wigs and clothes so kids can create a real fashion icon. An eraser cloth wipes off the drawings so you can start over. The process is a little fussy. Kids switch out ink markers that are used to print on the doll’s limbs, inserting one body part at a time into the printer. It’s fascinating to watch it print and see the designs come to life. Kids can choose from pre-designed templates on the app or drag and drop their own to create the ultimate freakishly fabulous femme fatale. Consider this a great gift for kids and their parents. The Anki Drive Cars will keep you busy through the holiday season and beyond — just make sure you have enough space to set it up. Anki Drive makes car racing a reality through an iOS or Android Drive app (check for compatible devices) that lets you customize and command your car. You can race, battle up to four friends or play against the robot. The cars are equipped with on-board computers and a camera, allowing them to race and battle for themselves. Like a video game, the experience offers weapons upgrades and power-ups that make each race a unique experience. The starter kit comes with two robot cars and the starter track; you’ll have to buy extra cars for more family members. This teeny-tiny robot is capable of some impressively big play. The basic functionality is deceptively simple: Ozobot follows lines and recognizes different line colors. That's all you need to know to get started playing. 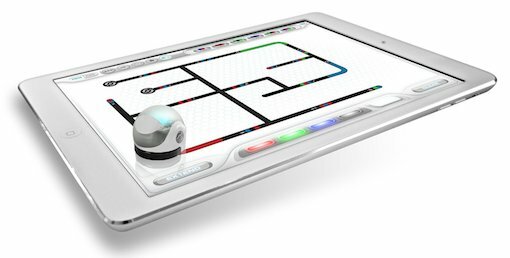 Ozobot will follow lines on paper or lines on a tablet. Pair it up with the app for Android or iOS, and you can even play games using the Ozobot. One of the drawing games introduces an extra level of interaction: simple programming. Kids can learn the basics in an engaging, simplified environment. Once they master these skills, they can start making up games for Ozobot all on their own. Have kids who love building with Legos and the like and are ready to create their own robots and motorized creations? 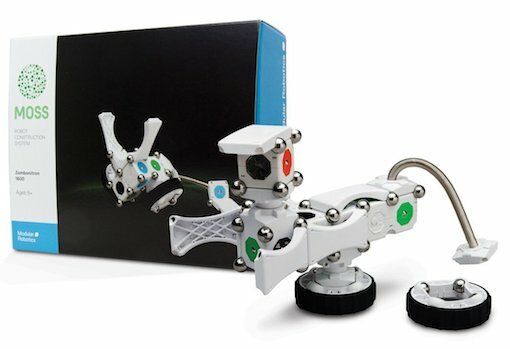 The MOSS Robot Construction System is the perfect gift. It only takes a few minutes to learn how to put the Moss blocks together to make something that moves. In under an hour, kids can build a car that responds to motion, or they can choose from about a dozen other designs. Building and taking apart is just as easy as with Legos, and if you buy more MOSS sets, they'll all work together, no matter how complex. If you think the constructor on your gift list is ready for it, you can always go for the Exofabulatronixx 5200 Model Kit. At $480, it's much more expensive, but it includes many more blocks plus a Bluetooth module that makes it possible to build a machine kids can control from a smartphone or tablet. 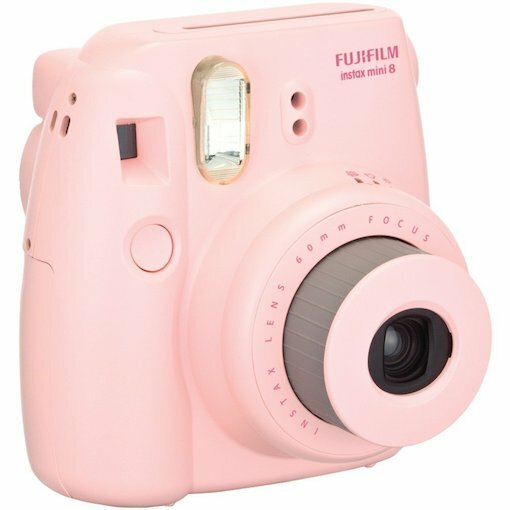 Instant cameras are back, and the retro-chic quality is just enough to make this a fun gift for a tween or teen. This Instax camera has a few settings to help kids take better pictures in different lighting conditions. They can see the resulting photo in just a few minutes as it develops right in front of them. When kids are ready to have a laptop all their own, you don't want to give them something too expensive that won't stand up to a little rough treatment. Chromebooks usually fit the bill here, but they have limitations kids and parents may find frustrating. 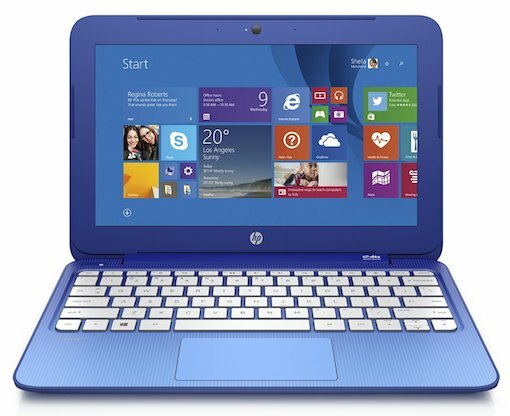 The HP Stream laptops are a compromise that will make everyone happy. This slim, lightweight and inexpensive laptop runs regular Windows 8.1 (with free Office 365 for one year), so parents can load all the necessary apps and set up parental controls. There’s not much internal storage, so most files and media will have to be streamed from the cloud or accessed on an external drive or memory card. Considering all the free or inexpensive options to do that — Dropbox, OneDrive, Google Drive, Spotify, Google Music and so on — most kids won't even know the difference.